Being the good content marketers that we are, you may have noticed that TopRank Marketing has recently been publishing a monthly Online Marketing Newsletter called “Tips from the Top”. While we haven’t done a lot to promote, thousands of subscribers have joined in a pretty short period of time. I’ve started newsletters several times in the 10 or so years we’ve had this agency but it’s the most recent effort that has really resonated with readers. We’re learning as we go and fine tuning to make it better. Industry News to Know – This usually follows a theme and for October, it’s “Social Commerce”. Digital Marketing Tips – A collection of timely “how to” articles from across the web. I’ve been attending WebmasterWorld’s Pubcon conference in Las Vegas for at least 6 years although I didn’t liveblog that first one for some reason. In fact I first interviewed Pubcon founder, Brett Tabke, in 2005. By no means am I an “old timer” since the show has been running for a lot longer than I’ve been attending but I do have some history with it. When people ask me about great conference options to learn practical SEO and PPC, Pubcon is always included in my recommendations. 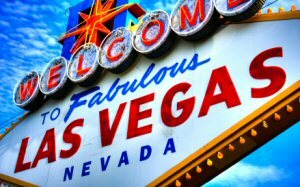 Being held in Las Vegas lends a certain flavor to the event, as in there are plenty of after-event networking opportunities. Sessions are great, but its the in person connections you make and develop that yield tips, tactics that aren’t always forthcoming during the day. While putting together a presentation recently, I assembled a simple check list of considerations for a social media marketing effort. We’ve written quite a bit about developing a social media roadmap, strategy and measurement in the past, but there are some important questions to answer when it comes to realizing what’s involved. Companies can test and run tactics in silos but eventually, there will come a time when efforts need to be coordinated. You may notice that this checklist isn’t that concerned with SEO. 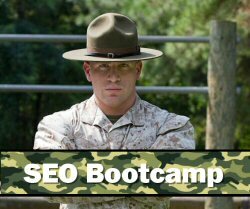 Don’t take that to mean Search Engine Optimization isn’t to be heavily considered with a social media marketing effort. At the same time, not all social media efforts need to be SEO focused. The second session on my liveblogging hitllist for SES Chicago is the “Duplicate Content and Multiple Sites” moderated by Adam Audette. Unfortunatley, Michael Gray was not able to be there, so things started up with Susan Moskwa, Webmaster Trends Analyst from Google, and Shari Thurow was added on the fly. What is duplicate content? Identical or substantially similar content. Also multiple URLs with the same content. Google realizes that duplication can be deliberate or accidental. Why does Google care about duplicate content? Users don’t like to see 10 nearly identical results. Also, there’s no benefit in crawling multiple urls with the same content. It’s a waste of resources for Googlebot to do that. 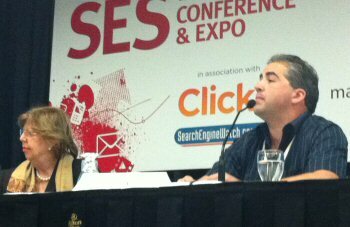 My first liveblog for SES Chicago didn’t happen until day three. The lucky topic? Advanced Keyword Research presented by Ron Jones CEO of Symetri Internet Marketing. Ron and I are mutual retweet friends and while I’ve read many of his articles on ClickZ, I hadn’t seen him speak before. Ron started things out by taking a poll to qualify the audience (smart) to see how many have done keyword research before. Most have. Is keyword research strategic or tactical? When we use keywords we reinforce searcher expectations. As marketers, then we have the responsibility to deliver on that expectation. 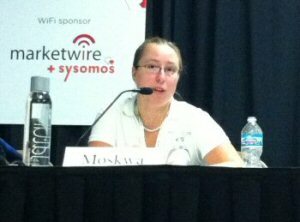 Picking the right keywords plus having relevant content to match equals conversion. As a result, the use of keywords and keyword research is a strategic function. Many companies develop products and services relying on their networks and various types of “do it yourself” marketing to get the word out. As companies grow, especially in the software and tech business, subject matter expertise in technology can only go so far when it comes to building a brand, creating influence and inspiring the kind of word of mouth that boosts sales. While the founders might be great at developing their product and evangelizing it, they rarely have the experience or resources to amplify marketing beyond their first hand experience. Without a plan for engaging the media or understanding how the world of print, digital and social media work, efforts by founders often fall flat, are inefficient uses of their time or result in the opposite of intended outcomes. 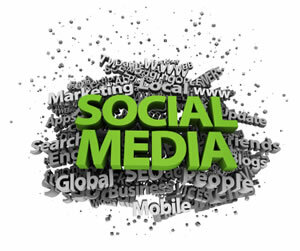 In order for companies to realize the maximum benefit and impact from social media marketing, the pre requisite for goal setting must be a certain level of understanding about the nature of online communities, social media sharing web sites and applications. Unrealistic expectations based on a lack of knowledge about the social web is far too expensive to ignore. At Search Marketing conferences, you’ll hear a lot about driving website traffic and links through social media linkbait – a SEO tactic that is distinctly different than what goes into building customer relationships. Companies like Proctor & Gamble are paying for engagement, not eyeballs. Forget about backing up your blog, automate it. When’s the last time you backed up your blog? A few weeks ago? Months? Never!? I wouldn’t be surprised if you’ve never backed up your blog as it’s not something people often think about doing. However, it’s very important, and it can be automated so that you don’t have to think about it. Here are just a few of the many tools that keep things backed up without having you lift a finger. This is a must have plugin for me and I’m surprised it’s not integrated into WordPress yet. 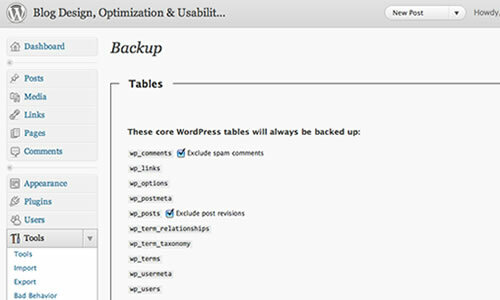 WP-DB-Backup automatically schedule backups of your WordPress database and then emails them to you. I set all blogs I manage to email backups to me once a week. That way, if anything ever happened, I’d still have a copy of all the content, comments and anything saved in the database. 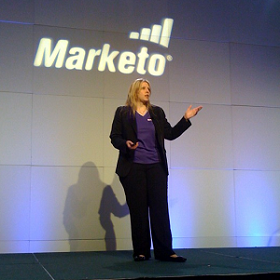 Maria Pergolino, director of marketing for Marketo (a TopRank Online Marketing client) shared a presentation at the Marketo User Summit on getting the message out, focused on social media and content marketing tips/tricks. 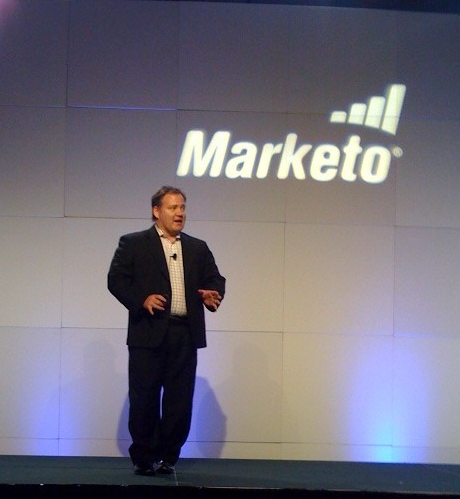 Sales and marketing alignment are second nature at Salesforce. Today, we’ll explore how as a brand, Salesforce integrates sales and marketing throughout all of our tactics and why this is also vital for your B2B brand.